Today, on the five-year anniversary of superstorm Sandy, Baysave Corporation announces the release of the first public draft of the redevelopment plan for Money Island, New jersey. We wish to thank all those in government and private industry who played a role in bringing us to this point. Our plans continue to evolve. Updates will be made periodically. Meanwhile, please direct any questions to Tony Novak. A new way to use climate change models developed by NOAA may be used to forecast effects on Delaware Bay fisheries according to a recent news report. The basic conclusion, as I understand it from a range of conversations with researchers and a reading of the available information, is that the changes forecast for our Delaware Bay will make the bay more challenging for oyster growers but potentially more favorable for blue claw crabs. 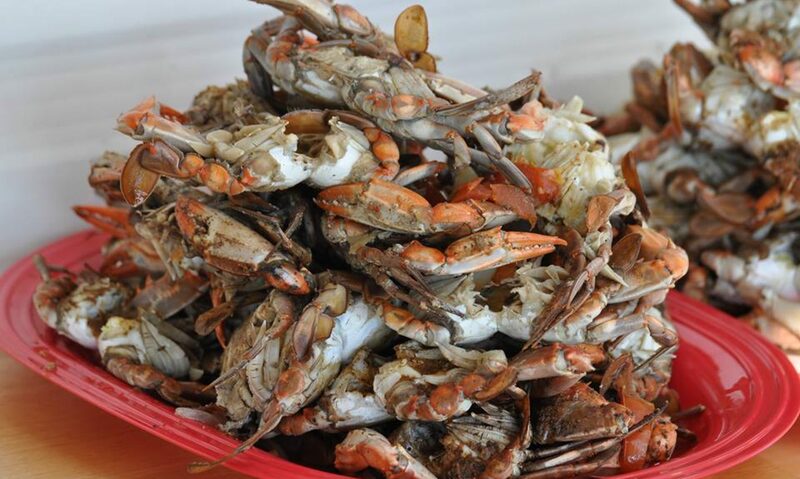 The Virginia Pilot reports “NOAA said its researchers might apply the same “downscaling” method to predict the potential effects of climate change on other species such as blue crabs and striped bass and other estuaries, including the Delaware Bay.” Other published seafood industry publications have predicted that these same forces of water temperature warming and acidification might actually benefit blue claw crabs. My own opinion, not necessarily shared by researchers or the oyster industry*, is that resistant strains of oysters will be developed to combat the adverse effects of climate change (vibrio and acidification) but that seafood consumers will eventually insist on seafood (including oysters) that is sterilized through some procedure to kill any potential pathogens prior to consumption. That technology exists today but is not widely used. In the end, these development are more likely to have greater (positive) impact on funding for the scientific community by triggering the need for more research and development than on consumers or the seafood industry. *Opinions expressed in this blog are my own and do not represent the opinions of any of the commercial or educational firms associated with Nantuxent Corporation. As a venture capital business, Nantuxent Corporation must be careful to avoid violating federal and state securities laws. There are different ways to accomplish this, including some “safe harbors” available under the law. Federal and state issues must be considered separately. The first key factor is whether investors are solicited for the venture and secondly, whether the investors are considered “qualified investors”. The first and most obvious method of compliance with SEC laws – and the compliance strategy current used by Nantuxent Corporation – is to not advertise or solicit any offering. That’s why you will find no published information about Nantuxent Corporation investment. Another method of compliance is to rely on Rule 506 of Regulation D. This rule has two parts. The first part, known as 506(b) does not allow general solicitations or advertisement and is not discussed further here since it offers no advantage over our current strategy. The second part is 506(c) which is being considered by Nantuxent Corporation but is not relied upon yet at the time of this blog post publication. The following comes from the SEC web site. Each state has its own securities laws. A business that does not operate, advertise or solicit within a state is not regulated by that state. New Jersey laws are discussed here.